We have included some self-booking and budget options below. 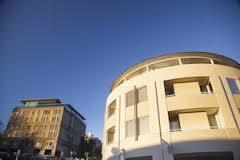 Rates quoted for accommodation in Australia include all national and state taxes (such as GST). The hotel will state if breakfast is included. Gratuities are not expected. You can arrange to pay your accommodation using a third-party credit card, e.g. 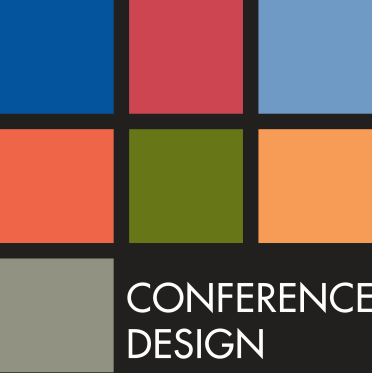 a colleague’s work credit card, by completing the form below and email it to your confirmed hotel 30-days prior to the conference. The Hotel Grand Chancellor overlooks the picturesque and historic Harbour, capturing unspoiled panoramic views of the Derwent River or Mount Wellington and the city. The hotel provides a restaurant and bar; gym, indoor pool and sauna; masseuse plus hair salon, art gallery and parking. Some 2 Bedroom Apartments have internal stair cases. When you book, please note in special requirements if you require an apartment without stairs. The Old Woolstore is centrally located within a stone’s throw of the city centre and just a block away from Hobart’s majestic waterfront and close to some of the best restaurants in Tasmania. 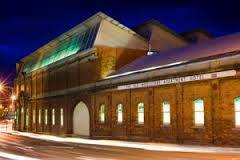 The Old Woolstore includes a restaurant, bar, business centre, fitness room and internet access. You will also receive complimentary pass to the pool at nearby Hobart Aquatic Centre. Zero Davey is located on the waterfront at Sullivans Cove. The Studios and Apartments all have a kitchenette and laundry. The stylish apartments feature flat-screen cable TV, a private balcony and free in-house movies. The hotel offers internet access, sauna, mini gymnasium, limited undercover parking and continental breakfast pack available. Reception is open 7am to 9pm. The Hotel’s elliptical form rises above its original 1930’s street facade. 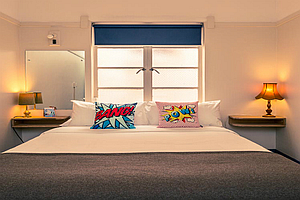 Mantra Collins includes a cafe, bar, guest laundry and parking is available off-site. All rooms have complimentary high-speed broadband connection and wireless access is available in the cafe. One Bedroom apartments have a king bed, kitchenette and lounge. For any rooms cancelled within 30 days a cancellation fee will be charged which is equal to the total of all room nights cancelled. The stylish contemporary apartments feature spacious living areas and offer 1 Bedroom apartments, 2 Bedroom Townhouses, 2 Bedroom / 2 Bathroom apartments, Penthouse apartments with fully equipped modern kitchen and laundry facilities. Our Studio Apartments offer a kitchenette and ensuite. Bookings received within 7 days of arrival are subject to a cancellation fee equal to one night’s accommodation. Built in 1874, Lenna is a magnificently restored sandstone mansion, classified by the National Trust and listed on the Tasmanian Heritage Register as a superb example of early colonial architecture. 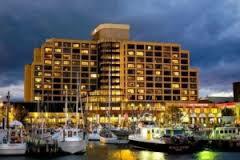 Lenna is a landmark Hobart hotel associated with Hobart’s early maritime history. These rooms need to be booked directly with the Travelodge Hotel. 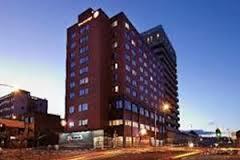 Travelodge Hobart is located close to Franklin Wharf, Battery Point and Salamanca. 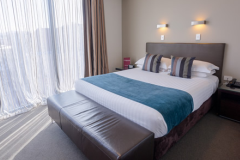 Travelodge Hotel Hobart offers comfortable accommodation options for the traveller who appreciates value, convenience and great accommodation. For any rooms cancelled within 30 days prior to arrival, a cancellation fee of one night’s accommodation will be charged. 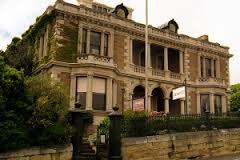 Hobart has many budget and hostel accommodation options, including those listed below. Contact the properties directly with any queries and to book. 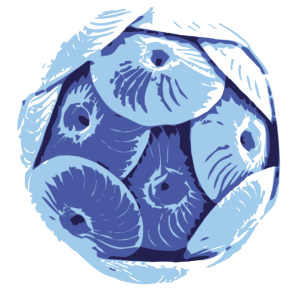 You may also like to try the below directories for self-booking options. Please be sure to research budget options to ensure they meet your expectations and requirements. 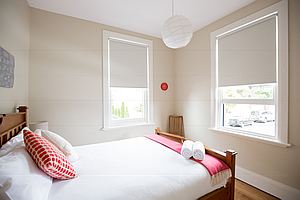 In the middle of Hobart, The Brunswick is only 5 minutes walk from Salamanca Markets and Hobart’s Waterfront. The hotel provides free Wi-Fi throughout the building, has a guest laundry as well as day tour bookings and other services. The Brunswick hotel has wide rage of rooms from private double en suites, standard doubles, and dorms all ranging from $20 – $85 per person. The Montacute has private double rooms, private family rooms, private 2-bed bunkrooms and shared bunkrooms (mixed gender and girls only), starting from $35 per person per night. 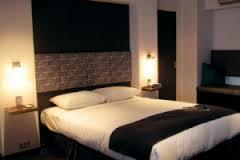 All rooms feature high quality inner spring mattress,reading lamps, power points, shelves, and free Wi-Fi throughout. 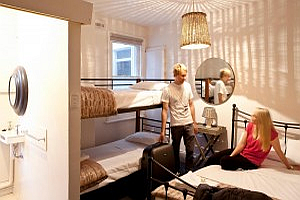 Please note that in the style of a traditional hostel, no rooms have en suite. A range of bathroom facilities are provided. At The Alabama each of their seventeen rooms is unique, decorated with original art, vintage touches, and a personal vibe. Located in a gorgeous building in Hobart’s inner city, the Alabama provides the perfect base to explore all that Hobart has to offer. Rooms start from $80 per night.